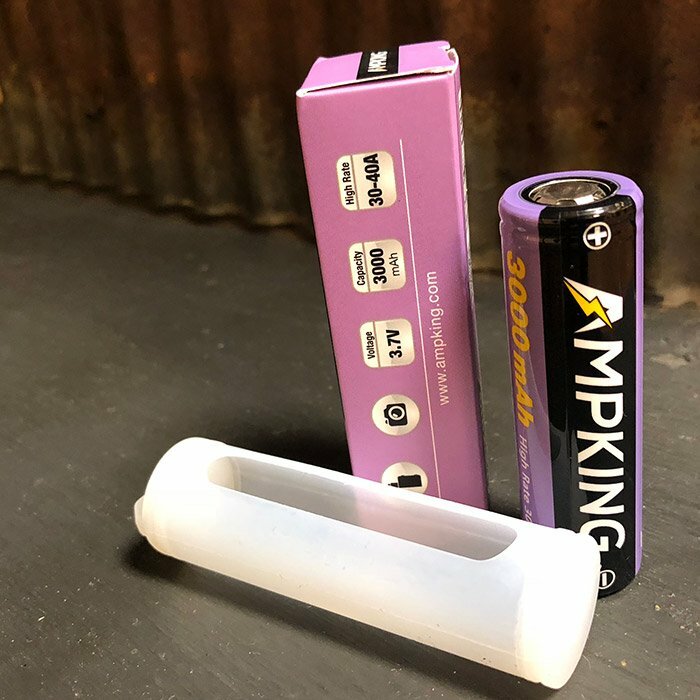 3000 mAh 20700 Battery from AmpKing. Box says it's rated for 30-40A. Includes rubber transport sleeve.